BUY ‘Sarkodie – Baby Mama’ Available On iTunes / Apple Music. 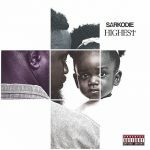 Baby Mama is a single off Sarkodie’s 5th studio ALBUM Highest . He features Ghanaian artiste and Adidas brand ambassador Joey B.